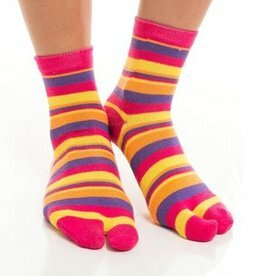 V-Toe Socks are the premiere maker of flip flop tabi two toe socks on the market. They are available in casual, knee high as well as athletic styles. V-Toe is not just a flip flop sock.....they're a Style! They're not just a Flip Flop Sock.....they're a style! Wear your flip flops all year long keep those toes warm and stylish too!